I have for some time considered writing a series involving a wide-scale fleet action, and I’m pleased to report I got a start on it this week. Naturally this will not proscribe continued work on Starships at War. I have at least two more books on deck for that series. First Praetorian is the historical conflict Skywatch faced in the early era of the Core Alliance. It was my universe’s “Jutland in space.” In this new series, called Destroy All Starships, the defeated Praetor’s shattered belligerents gave way to several smaller collectives of like-minded citizens, one of which is the Victorian Confederacy, situated in three small star systems just beyond the Magellan Frontier. The story in this series will recount the first “aftershock” of the Praetorian war. The adversaries in the new books will be an aggressively unified front consisting of two already-introduced races, the Sarn Star Empire and the Yersian Unity, along with two new races, the Kraken Decarchy and an as-yet unnamed faction which will be found with Ithis weapons and technology at a crucial point. All of the enemy races will be armed with unique weapons, both ship-mounted and individual, and will have tactics to match. Our heroes will be joined by the Proximan Kingdom, a feline race with a strong affinity for the code of chivalry and certain medieval sensibilities updated to reflect their advanced exploration and scientific capabilities. All Proximan soldiers are trained with the sword, and I think you will all approve of the direction I’m taking that most ancient of weapons. I’ll give you a hint: their swords don’t glow. Many characters from Starships at War will return, and will find themselves fighting alongside some new allies, including several new starships, more than a few new ship types, some new technology and weapons, and a fair number of unexpected encounters in deep space. There will be a lot of exploration and discovery in these books, which will make the story just a bit more like “where no man has gone before” while packing in more of the non-stop action you have all come to expect. I’m told action and dialogue are my strong suits, so that’s where I plan to invest most of my focus. The artificially intelligent gunships I introduced in Fleet Commander Recon have evolved considerably and will be paired with properly trained crews to perform some highly entertaining feats of legerdemain. We’re also going to do some large-scale surface engagements, so the Skywatch Marines will get some time in the spotlight too. 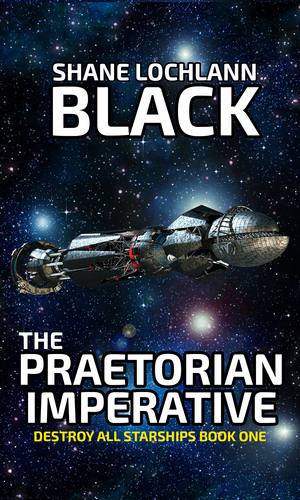 The Praetorian Imperative will be going on pre-order shortly. If you are on my mailing list, you’ll get advance notice and a discounted price. I’ll throw a couple sneak peek chapters up in the Library-Tron too. I’m planning at minimum a trilogy, so expect an announcement on book two relatively quickly afterwards. I have a 60 second time limit on retarded in my company. I do this because I do not have time to debug someone else’s broken, buggy software. When I want to change my profile picture, and it takes four attempts (after three successful uploads and the WordPress.com site telling me the profile picture was successfully updated) only to discover my “gravatar” wasn’t changed, I take corrective measures. Since I have 40 years of experience programming computers, those corrective measures consist of me reaching deep into the source code for WordPress and aggressively ripping all the gravatar code out down to the last byte. Consider this notice the gravatar “feature” has been permanently disabled on this web site with extreme prejudice. The new editor was yanked out too. When I write, I really don’t need a “user experience.” I don’t want a 20-something to ride up on a scooter, straighten his horn-rimmed hipster glasses and start gesturing at Powerpoint. I just want to write the post. Perhaps soon I’ll write an article about why hammers have handles and why there aren’t a thousand buzzword-hooting idiots chasing VC dollars promising to upgrade handles for a better user experience. Jessica Halloran and the Ajan Warriors will be a standalone story much like Secret of the Witchwand and No Savage Under This Moon. The warriors explore a mysterious abandoned keep near the Gunsuan Tower Grounds where the first beacon was found during the events in Dawnsong: the Last Skyblade. I’m publishing Jessica Halloran and the Ajan Warriors as a free webcomic. As part of the 20th Anniversary celebration of LadyStar, my next book will be a digital comic. 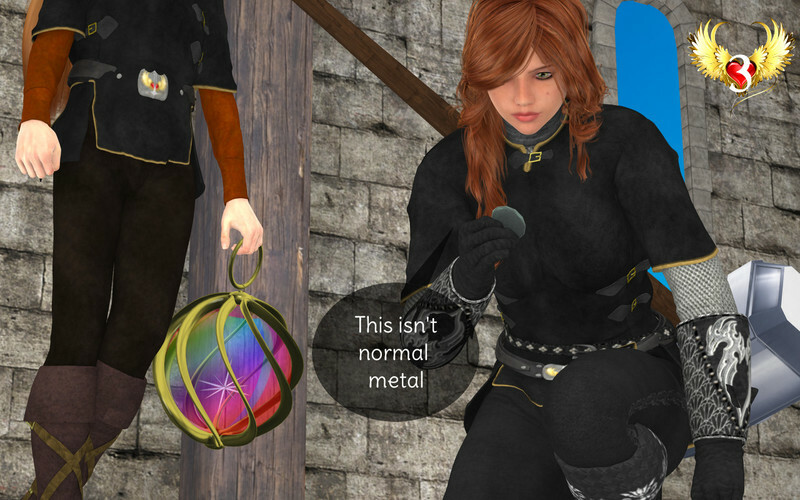 I’ve been developing models for the LadyStar characters for some time now, and I think my technology (such as it is) has caught up to the capabilities we had when I did my first webcomic back in 2008. I’ll be performing a couple of simultaneous experiments as part of the project. First, I have a Patreon, where I’ll have previews and extras for readers. I’ll be publishing the books on my bookstore and on Kindle. The books will be titled Fury of the Venom Legion and will depict a confrontation between the Ajan Warriors and the minions of Bane Cryptic Sai Magnen. Each book will be 60-80 pages and will release in sequence. Secondly, I will be publishing a free parallel story in weekly chapters on Webtoons titled Jessica Halloran and the Ajan Warriors. The parallel story will serve as a prequel to the events in Venom Legion and will be released in weekly chapters. I produce a fair amount of art that doesn’t find its way into the comics during production, so I will be posting some promotional works on Instagram. The purpose here is two-fold. One, I am fully committed to promoting Enchanted Airship and middle grade fiction in general. Also the LadyStar characters have always gravitated towards books, comics and games, which means once we have a new comic we’ll be 2/3rds of the way to fulfilling the trifecta. 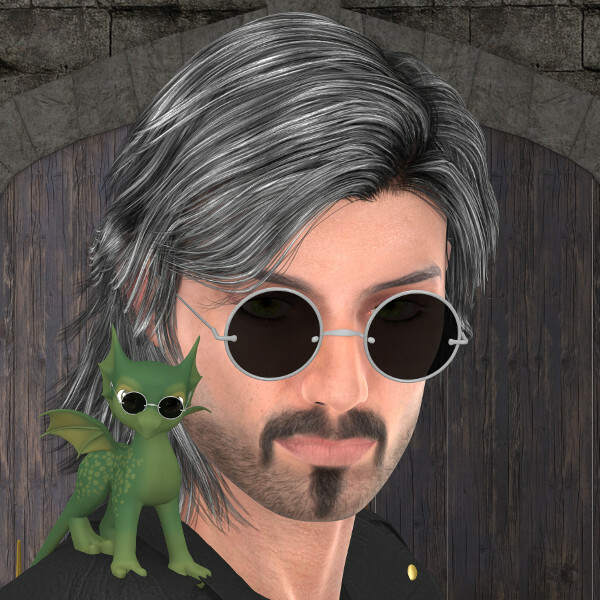 If I’m successful, I will rebuild LadyStar.net to its original vision and launch our first new game book sometime in early 2019. All the new books will take full advantage of the version 12 Jericho engine and the premium EPUB3 format I spent most of the summer converting my bibliography to. I think the comics and fiction will promote each other quite effectively. If you’d like updates on my progress, be sure to join my mailing list. Black out. I am frequently asked to explain why I am so virulently opposed to Windows. Full disclosure: I’ve been using Windows personally and professionally for more than 30 years, so I have a few unpleasant experiences upon which to base my opinions. Windows is without doubt the most incompetent commercial product ever invented by man. One of the key reasons many people take up Linux and/or switch to Mac OS is because they are so fed up with Windows and its comprehensive failure to function properly that they are willing to abandon all their familiar applications, risk losing all their data, forsake all their games and spend weeks, months and possibly years of their lives learning a different operating system. Millions of them are also willing to spend thousands of dollars on new hardware. At no other time in human history has a commercial product ever caused people to act this way, mainly because at no other time in history has a commercial product ever actively worked against its customers the way Windows does. I have a three-decade career in IT. I’ve worked as a software engineer for companies larger than Microsoft. Nevertheless, whenever I boot Windows I am still beset with incidents like the one I experienced this morning, where it took me no less than forty minutes to attempt to change the default application for opening text files to Emacs on Windows 10. After nearly an hour of fighting, I gave up and resigned myself to the fact that I cannot open my files with the application of my choice. This, of course, leaves aside the fact it takes up to nine minutes for Windows to boot to a usable state. I define “usable state” as one where I can open an application and use it. Windows also perpetually displays the wrong time, even after it is corrected again and again. I have a fairly recent version of Linux Mint that boots in 20 seconds on the same hardware. Linux also manages to display the correct time of day somehow. These are my text files, on my computer, in my home directory no less, yet Microsoft decides. This isn’t accidental, boys and girls. Microsoft making decisions for you is how they force you to use your property as they see fit. It goes without saying that I can open text files in Linux with whatever application I choose. The reason this is true is because there is no financial incentive for Linux developers to interfere in my day to day work. For those of you gearing up to send me comments like “works fine for me,” note that my problem is not unique. Also note the multiple suggested workarounds in that Stack Exchange thread and the fact each one failed to solve the problem. For my part, I manually edited the registry entries and Windows ignored them. If you do have a solution and everything works fine for you, please post your instructions in that thread so everyone can benefit. Apparently there is some crucial corporate objective for Microsoft in making absolutely certain Notepad is the default application for opening text files. Oh, and by the way, it should be pointed out Ronald Reagan had just been sworn in for his second term when Notepad was new. Microsoft finally got around to updating it a few months ago after forcing the world to endure cheap failed software for more than 30 years. What if we had all those wasted man-hours back? What dollar value could we put on that? What if Kenmore or Whirlpool had shipped a refrigerator that randomly reached temperatures of 150 degrees for an hour or so a couple times a month? So for those of you wondering, that’s why serious people use something other than Windows when it comes time to do serious work. Those who do not are just better at tolerating failure, wasted money and wasted time. I have been frequently distressed at how mean many fictional characters have become over the years. When I was growing up, I had Looney Tunes and Mister Rogers to look forward to on television. While those cartoons sometimes got a little rambunctious, there was never any bitterness or gloom in them. Fred Rogers remains one of the greatest role models in the entire history of television. Not once did Mister Rogers’ Neighborhood ever have a negative message for viewers. 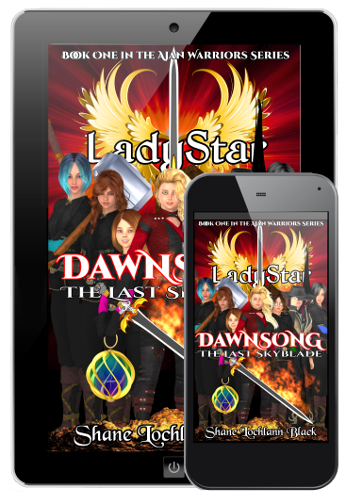 The LadyStar story has a positive moral core because of Jessica. She is relentlessly optimistic and positive. Her friends call her a “goofball.” All of the girls do their fair share of teasing each other, but when push comes to shove, Jessica is almost always the reason the LadyStar characters prevail in the face of peril. She’s their heart. But there is more to it than Jessica’s happy personality. In the story, Jessica wields a magical sword called Dawnsong. It is a weapon of nearly limitless power. Initially, it is disguised as a golden ring. 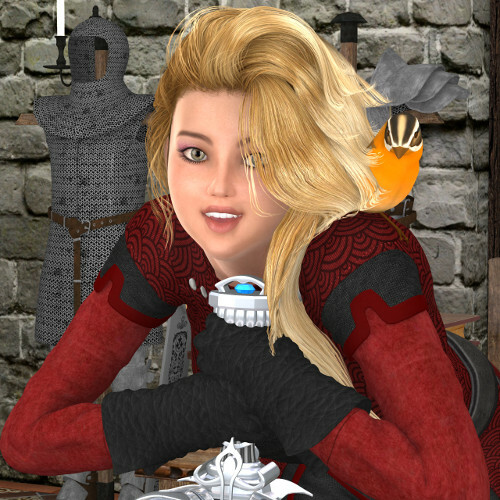 Over the course of the first book, Dawnsong: The Last Skyblade, the characters discover that both the ring and the sword respond to honor, valor and selfless acts of kindness and goodness. When Jessica helps others, heals her enemies, tells the truth and avoids subterfuge and treacherous behavior, she becomes more powerful. She is literally a source of light in the story, since several of her magical abilities cause her to give off a soothing golden glow. One of the key symbolic images in LadyStar is the fact Jessica is never in the dark. This isn’t to say Jessica doesn’t run into obstacles. The necessity of her moral foundation leads her into more than a few dilemmas through her adventures. The other characters’ powers aren’t bound by the same kinds of restrictions on their behavior, so they sometimes push the boundaries and force Jessica to continually examine and sometimes adjust her approach. In the process, the other characters learn that sometimes the ends don’t justify the means and vice versa. The moral journey the LadyStar characters take is just as important as the choices they make. I believe this is the essence of any coming of age story. Jessica can bless and strengthen her friends, not only making them stronger but amplifying their powers as well. This ability not only reinforces her role as the positive and encouraging member of the group, but it also underlines how important teamwork is. When Jessica and any of her teammates work together, they get more powerful. When Jessica and the whole group work together, they can accomplish the impossible, and frequently do just that. Jessica doesn’t lie. She never uses violence unless necessary. She prefers to defend instead of attack. She eschews subterfuge, disguise, poisons and deception. She almost always announces herself and challenges her enemies face to face. She is charitable. She gives away most of the wealth she is given. She shows mercy and gives quarter, sometimes to a fault. These values sometimes put her at odds with her friends, but for Jessica, doing the right thing always prevails. Now, what if they were all heroes? 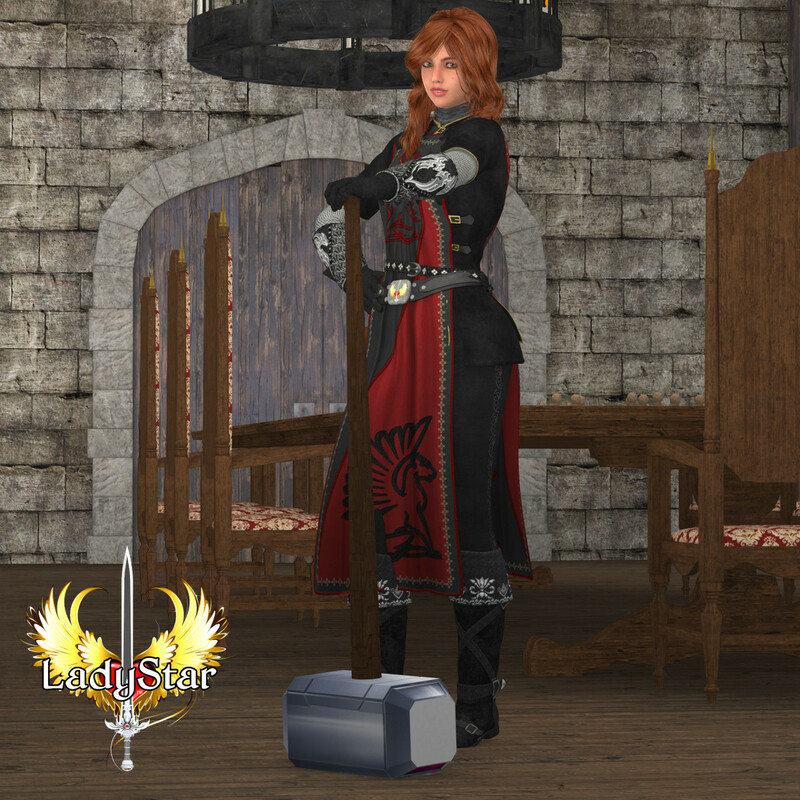 Return to the LadyStar for Warrior Moms and Warrior Dads Free Chapter List! The newest crop of hotshot officers readily agreed there was something almost magical about the way modern warships were constructed. Jason Hunter had fallen deeply in love with the third-generation ships of the line the first time he had seen the design, and the Argent was most assuredly the “prettiest girl at the prom” when it came to the Captain’s Corps and their bragging rights. Hunter was a self-admitted romantic. He often opined there was no more glorious creature in all creation than a “maiden resplendent in all her finery.” This was usually interpreted by colleagues and rivals alike as a fanciful metaphor for the unblemished Citadel-class hull Seven-Four-Zero. Command One approached the enormous weapons platform from her port quarter. He tapped the transponder indicator with a gloved finger in the academy-approved manner to make absolutely sure his shuttle was transmitting multi-frequency encrypted “friendly” signals on all of Argent’s pickups. He knew what his baby was capable of if she detected an unauthorized scanner contact inside her command zone, and he knew well the only thing worse than being vaporized by your own ship’s point defense was knowing that your ship had opened fire on eighteen cases of 30-year-old scotch. Green and white running lights glimmered. A ship of the line was a vessel engineer’s expression of sheer power. The shape was meant to convey an intimidating potential for destruction. Her formidable engines, mighty main batteries and lithe energy weapon emplacements were breathtaking even for someone not acquainted with the design genius. The soaring main hull gave the enormous vessel a majestic profile. Her sweeping triple flight decks were as innovative as they were formidable. Hunter’s ship could launch and recover squadron after lethal squadron of smaller ships ranging from deep space fighters to surface mechs. Argent was brand-new. There were some inboard spaces where crew recruits swore they could still smell new paint. Some of the officers had to admit they had never seen so much expensive hardware in such pristine condition all in the same place before. Hunter had made a point of “walking the decks” and visiting every compartment, berth and space within hours of receiving orders to take command. He knew a 23-year-old Skipper already had his share of challenges to overcome. Breaking tradition would be nothing more than tempting luck, and all Captains, young or old, knew one thing about Skywatch duty: Luck was at least as important as everything else put together. Hunter had his enemies. At least three flag officers directly opposed his rapid promotions, but when faced with the realities in his jacket, that gleaming Skyshield Legion decoration on his uniform, and his short, fiery billet as Flight Leader of “Yellowjacket Nine,” where he became the first Ace fighter pilot under the age of 20 in fleet history, even the most shrill objections were inevitably quieted. What he had was the respect of the men and women he had fought with. There were some things even Skywatch Academy couldn’t teach, and there were some collars where a Captain’s insignia belonged, age be damned. There were also some ships that needed a crew up to the task of following a Captain like Jason Hunter into battle. The officers that recommended his promotions had high expectations, and Hunter knew that no matter how accomplished his crew became, he needed even better officers. Re-assembling those officers was the Captain’s current mission. After expertly landing Command One on starboard flight deck three, Hunter powered down and disengaged his shuttle’s controls. The atmosphere normalized and the environmental computers balanced pressure between the shuttle interior and the crowded, magnetically sealed seven-acre flight deck before the airlock indicators switched to green. Hunter’s commlink went live and the familiar voice of the ranking crew chief sounded from the omnidirectional crystal speaker in the Captain’s uniform collar. “I’ve got the hard stuff, Chief,” Hunter punched the hatch interlock and opened the shuttle’s side door. Duncan Buckmaster was always a welcome sight. He was at least twice Hunter’s age, with the service stripes to prove it. Within an hour of learning the Captain had requested his assignment to one of the most prestigious commands in the entire line, he had become Hunter’s staunchest ally. The speed with which he shaped up the Argent’s flight crews was the stuff of legend. He was three weeks from mandatory promotion to Master Crew Chief: The highest non-commissioned Skywatch rank. Hunter synchronized his personal chronometer with shipboard time and jogged to the flight level lifts. This was one party he couldn’t be late for. Return to the Strike Battleship Argent Free Chapter List! “If it’s so safe, why don’t you go?” Ranko asked. “Because that tunnel is made for short people like you,” Shannon replied, putting her hands on her hips. Cici lit up like a light bulb factory at being chosen for something important by Alanna. She scrambled down the waterlogged wooden stairs to the muddy base of the tunnel. The girls had gathered on the east edge of the barley field, under a line of thin willow trees. Talitha had already remarked on the fact the tunnel had to be artificially made, since it was square in shape, with clearly defined corners and edges. It also had a wooden trap door almost covering the entrance, which at least partially explained why it wasn’t completely full of water from the rainstorm. “Hurry up, Little Bit!” Ranko urged. Cici knelt and picked a handful of the smaller coins out of the mud and even snagged the big one before she clambered back up the stairs. She dumped them in the grass and all the girls gathered around to look. “Is that the same language as the book?” Alanna asked, indicating the lettering on the largest coin. Talitha shook her head. “These look like copper,” Jessica muttered. “They make coins out of copper here?” Shannon asked. “I am not crawling around in that muddy tunnel!” Shannon said. Cici bolted. The older girls knew she would treat the request like she was competing for gold in the 4×100 relay, so it wouldn’t be long before she got back. “You’re going in there?” Shannon asked in an incredulous tone. “Yep. If there’s a monster in there that eats copper coins, I’d rather find out about it during the day,” Ranko replied. “There’s a monster in there! ?” Jessica’s voice became more than a little squeaky. “Oh, my goodness,” Talitha whispered. “If there is, it’s six against one. Well, five and a half,” Ranko replied as Cici ran up with two of the dingy cloth bags. Ranko took one and threaded it through the thin belt in her jeans. “We’re going to regret this,” Shannon said as Ranko slipped down the wooden stairs and crouched. “Leave the trap door open for light!” the red-haired girl said as she ventured into the tunnel. Jessica looked around at the other girls. They were all watching the tunnel entrance expectantly. “I’m going with her,” she finally announced. “What if she needs help? I’m going.” Jessica gingerly navigated down the stairs and disappeared into the tunnel. Ranko stopped when she noticed the passageway was getting brighter. She looked back and saw Jessica. Jessica shook her head and smiled. It wasn’t long before the tunnel opened up considerably. Ranko slid down a muddy ramp of sorts and found she could stand without having to hunch over. When Jessica arrived, the low-ceiling room was illuminated well enough to see an upright wooden door was installed in a stone wall at the opposite end of the chamber. In this part of the tunnel the floor looked completely dry. “Let’s open that door and find out!” Jessica whispered back. As they climbed back towards the wooden stairs, Jessica looked back to make sure Ranko was kidding about the monsters. The two girls finally emerged from the trap door. Ranko closed it and sat on top to make sure nothing escaped from the tunnel. “Why would they dig a tunnel under a farm?” Cici asked. “That makes sense. They must be storing all their stolen coins down there,” Ranko said. “Yeah, but who is storing stolen coins?” Alanna added. “So what’s your plan, Doofus? A frontal assault or do we sneak in there by dark of night and try to pick the lock?” Ranko asked with a sarcastic look. “I say we get one of those big shovels and smash the door with it!” Cici announced. “Okay, we’ll all go to lunch and you let us know how that works out,” Ranko replied. “Nah, I’d rather go out for pizza. You can be the too-short shovel guard,” Ranko said, reclining on the door and pretending to yawn and go to sleep. Cici ran over and punched her shoulder. Ranko playfully grabbed at the younger girl’s ankles as she danced out of reach. “I have a better plan,” Alanna said with a confident smile. Return to the Dawnsong: The Last Skyblade Free Chapter List!